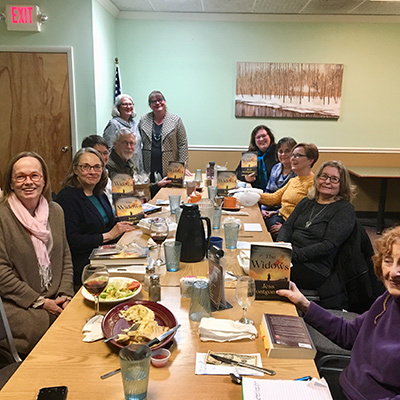 Since The Widows came out, I’ve had the joy of joining in many book club conversations! I’d love to visit your book club via Skype, or in person if you’re in driving distance. Please get in touch! If you do read The Widows (whether I visit or not), you might enjoy this Reading Discussion Guide, created by Minotaur. 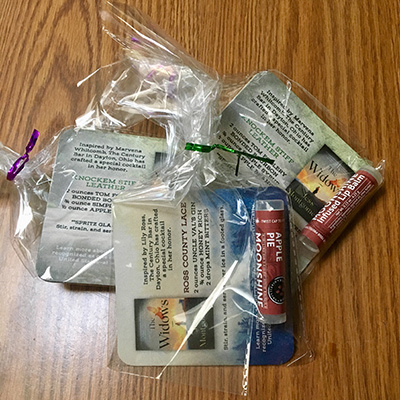 And DO let me know so I can send your book club autographed book stickers, book marks, and goodie bags—coasters with Lily and Marvena inspired cocktail recipes crafted by The Century Bar to celebrate the publication of The Widows, and even apple-moonshine flavored lip balms! Just email me at jessmontgomeryauthor@gmail.com, let me know your book club is reading The Widows and a postal address, and I’ll send enough for each member of your club! 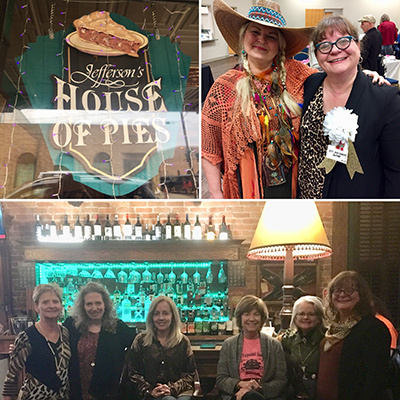 Photos below: I took part in the Pulpwood Queens Girlfriends Weekend, where The Widows was named the November 2019 main pick for Pulpwood Queens book clubs, and have been visiting many book clubs via Skype and in person, such as a great group in Ann Arbor, Michigan—Aunt Agatha’s Book Club. Though the brick-and-mortar store closed, it has continued as an indie online store with selected titles, including The Widows.